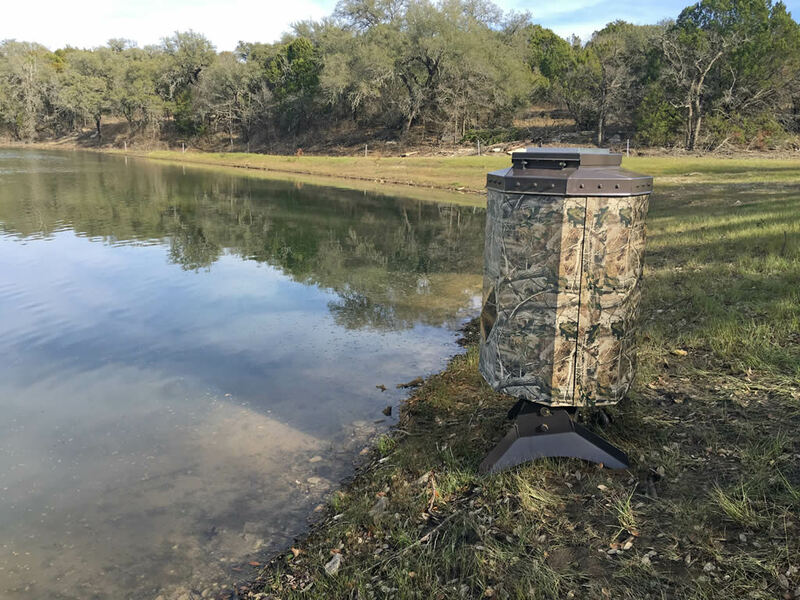 The TEXAS AVENGER fish feeder is the easiest fish feeder in the industry to mount to a dock or an inclined bank of a pond. No assembly required. The solar panel is pre-mounted and the leg support system is already in place. Simply install the included 12V battery and add fish food. 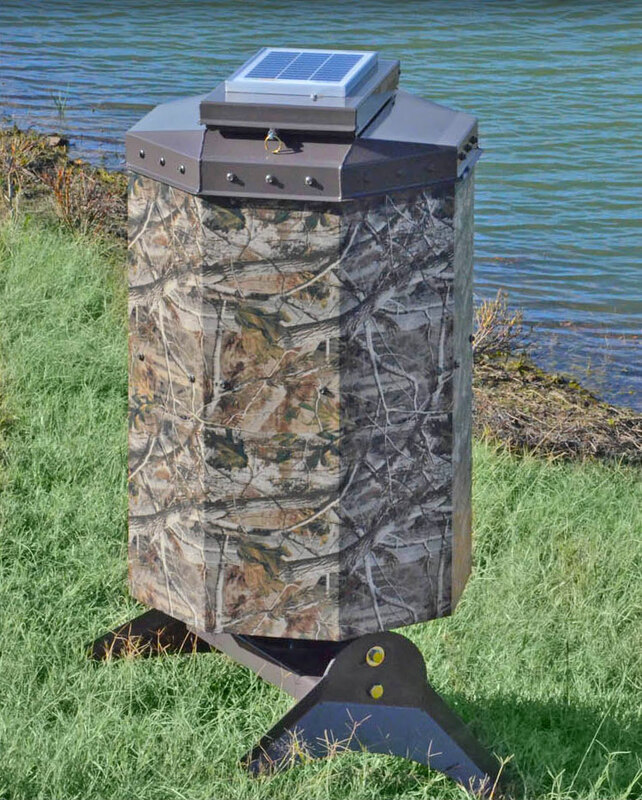 The patent pending leg system on this fish feeder allows the feeder to be rotated left and right and also allows the feeder to adjust to the incline of a pond’s sloped bank. It features THE-TIMER and comes equipped with a 12 volt solar panel and rechargable 12 volt battery. 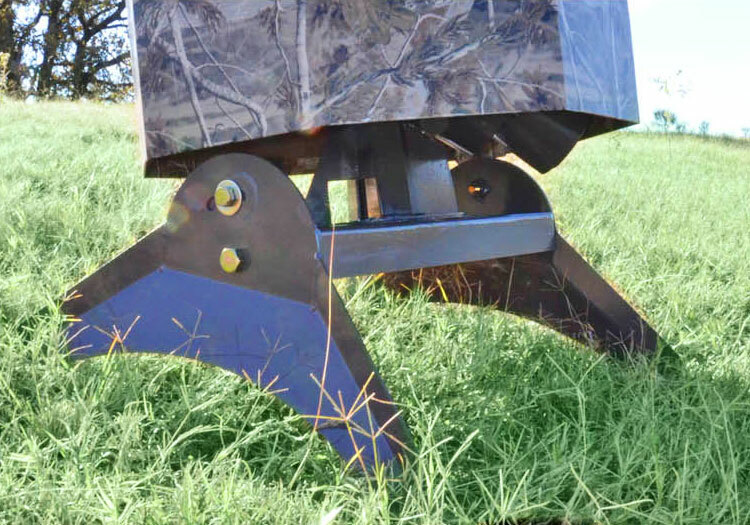 The Texas Avenger requires no assembly, it easily mounts to a dock or inclined pond bank. Its patent pending leg system comes installed and rotates and tilts as well. 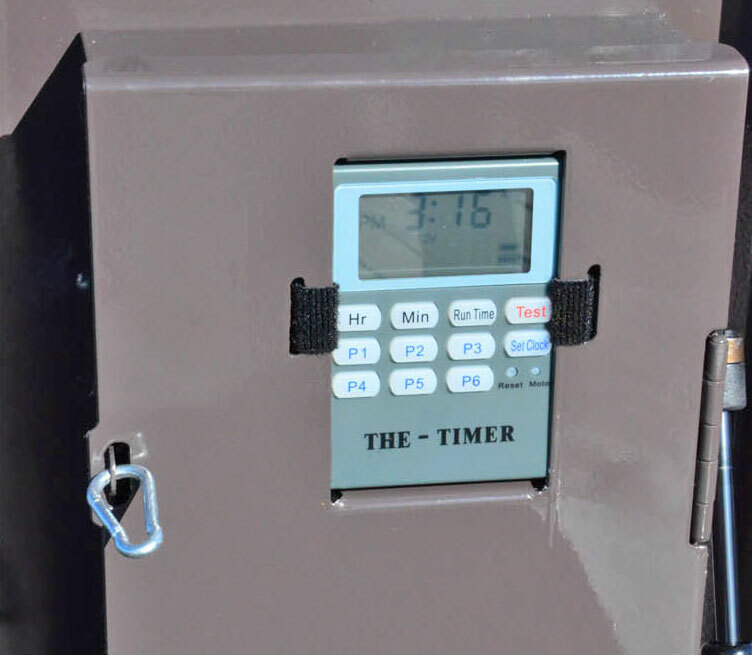 The Texas Avenger features the time tested Eliminator Spinner Plate and The Timer. It is powered by a 12 volt system, battery and solar panel included. 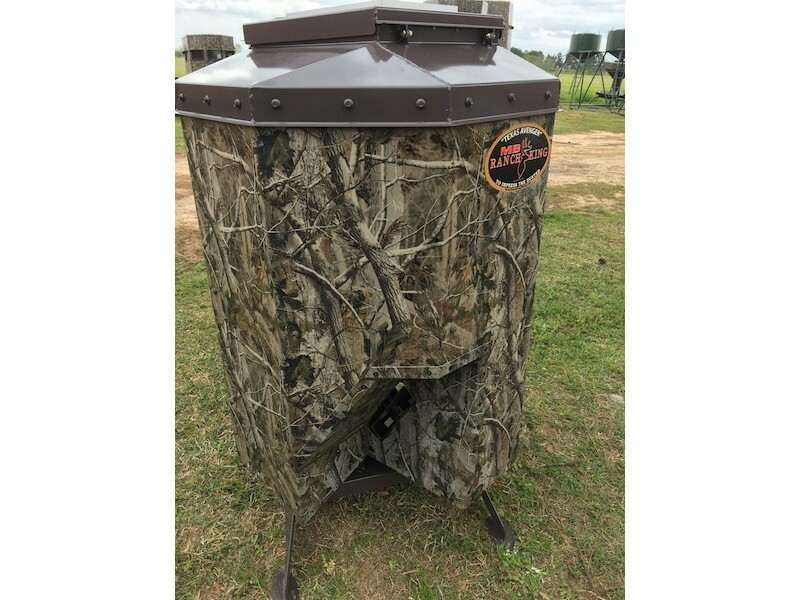 Both the timer and battery are housed in the lid for easy access, and the Eliminator spinner plate keeps varmints away from you fish food. The Texas Avenger holds 2 bags of fish food and throws food up and away from dock or bank. The galvanized hopper eliminates internal sweating. Install the 12 volt battery, program the timer, fill it and feed.